Topics: Classes, Faqs, Summer Camp, Website Design, and Internet Services. 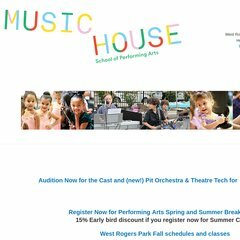 musichouseinc.com Chicago Music classes Chicago Dance Classes - Violin Lessons .. There are 2 Nameservers, ns2.buzzazzsites.com, and ns1.buzzazzsites.com. It is hosted by Hostmysite (Delaware, Newark,) using Apache web server. Its local IP address is 208.112.109.220. PING (208.112.109.220) 56(84) bytes of data.